Up until last year all of my memories of rhubarb are from when I was a kid. This is probably because early in my life my parents had a garden, they only grew a few things like tomatoes, squash, raspberries, strawberries and rhubarb! In my mind I can still see that corner of the backyard where it grew. 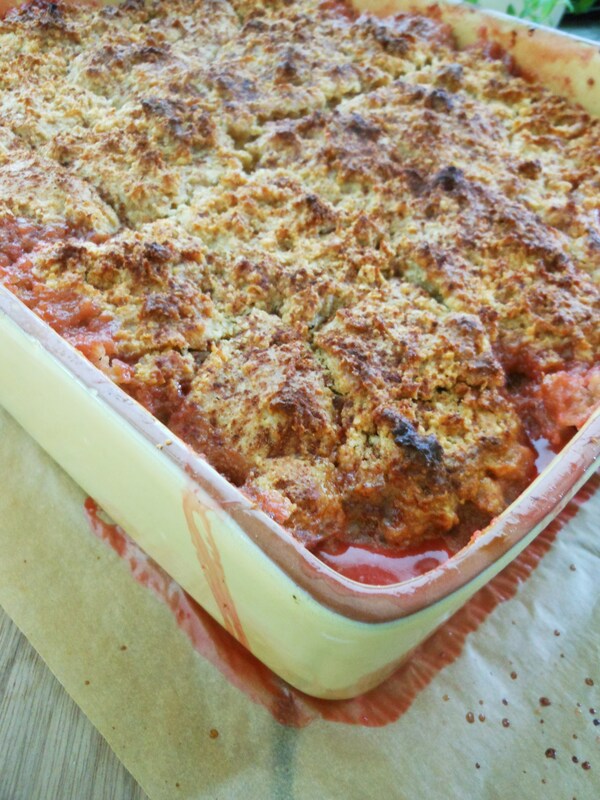 When my mom would cut a bunch to make her famous Rhubarb Coffee Cake, which is a recipe I highlighted last spring on the blog and she would always let me have a stem of that ruby-red bark to gnaw on. It was fibrous, tart and very sour and I loved it- still do. Now days I just can’t get enough of the stuff, you would think I might have been smart enough to plant some in my yard last year, but no. So lucky for me my clients who know I love to cook and know that I will never turn down fresh goods from someones garden brought me my second bunch last week. With the first bunch I made the famous Rhubarb Coffee Cake which requires buttermilk, an ingredient that isn’t a usual staple in my house, but I wanted to make sure it didn’t go to waste. 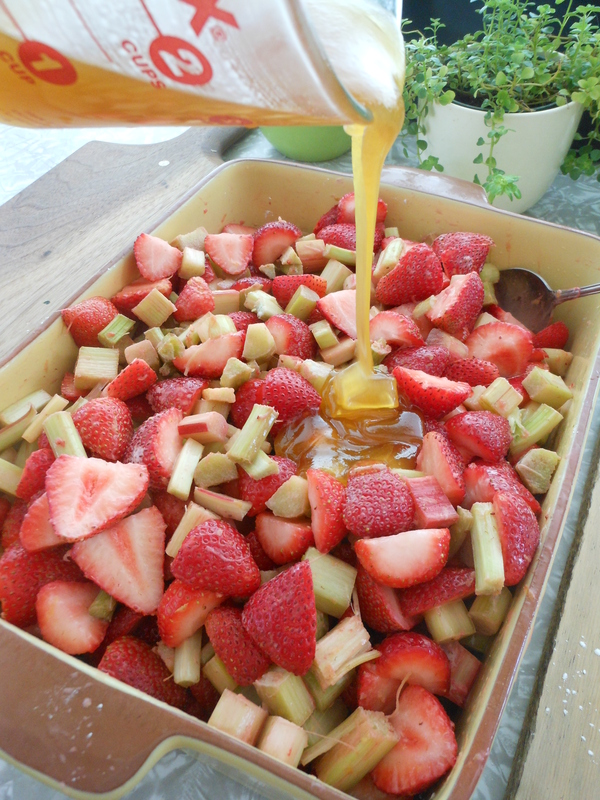 So let’s see, I had a new bunch of rhubarb, I had just picked up some organic strawberries and had leftover buttermilk- Viola! 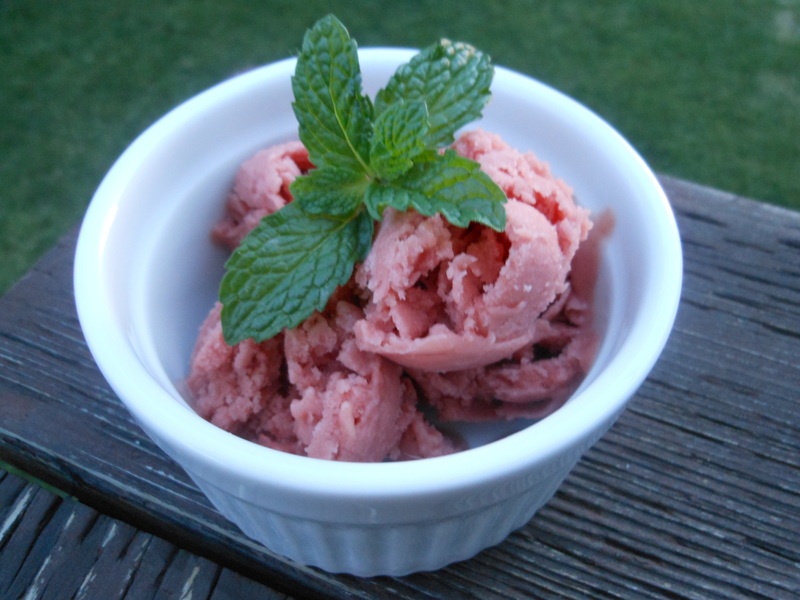 Rhubarb-Stawberry Buttermilk Ice Cream was born. A funny thing about me is that I am not much of a sweets fan or an ice cream fan, weird right? My husband more than makes up for my lack of interest in sweets so I do my best to oblige him. But, there is something to be said about making your own treats and I love to experiment with seasonal ingredients sweet or savory. 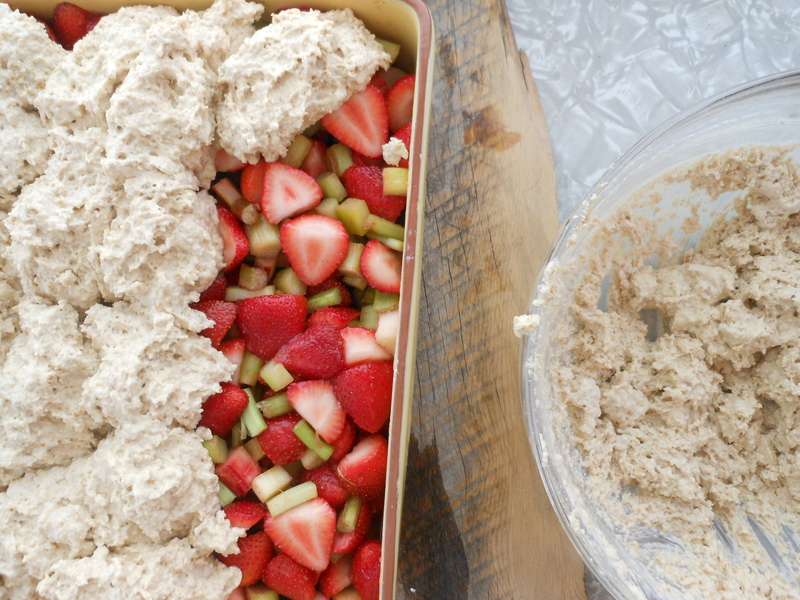 These days rhubarb can be used for both. This ‘ice cream’ is actually the perfect silky marriage of sherbet and sorbet. My husband thinks it taste like strawberry daiquiri ice, I think it taste fresh and tart which I love with just the right about of sweet. Enjoy! 1. Scald the buttermilk in a small saucepan over medium heat, do not let it come to a boil. Pull the saucepan off the heat and add 6 T. sucant and whisk until dissolved. Let cool. 2. Puree the strawberries and raspberries in the food processor until smooth and then strain through a fine mesh strainer into a large bowl. Set aside. 3. 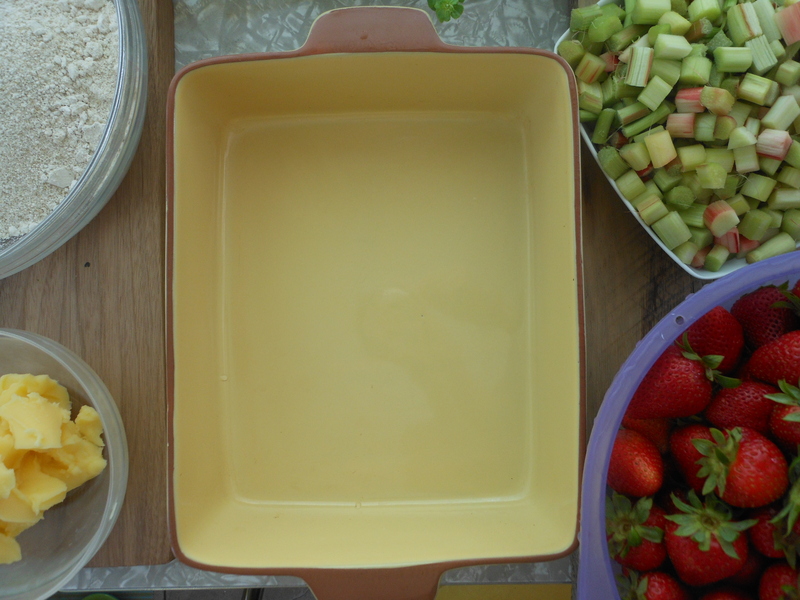 Place the rhubarb, 1/4 c. water and 3/4 c. sugar into a small saucepan over medium heat. 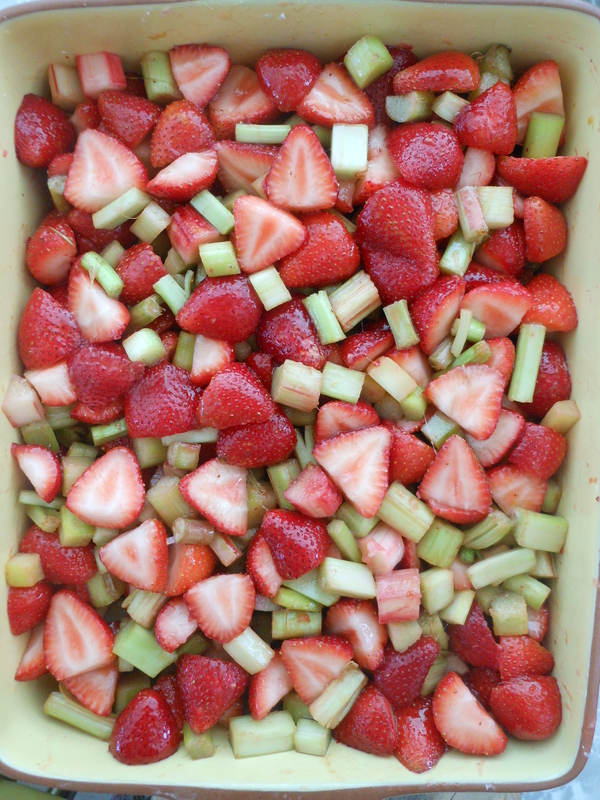 When it comes to a boil turn the heat down to low and simmer until the rhubarb starts to get really soft. 10-15 min. 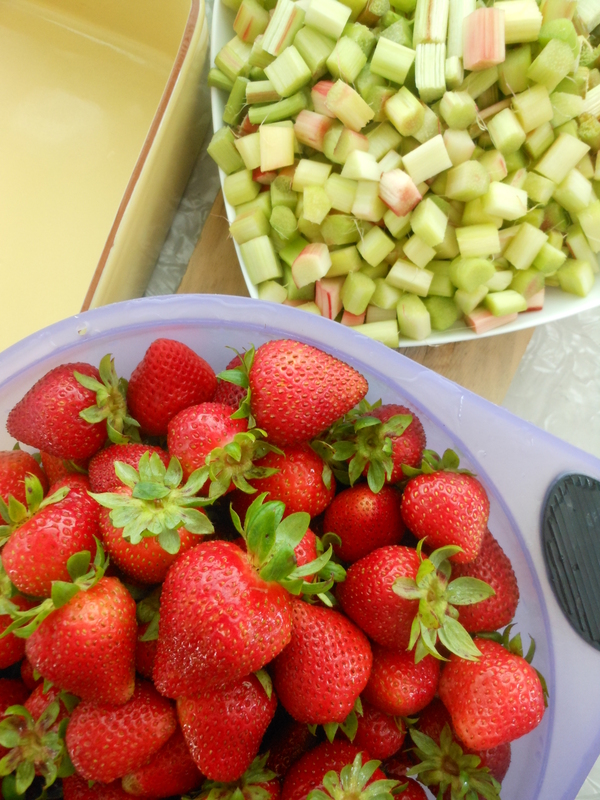 Let the rhubarb cool a bit and then puree the mixture in food processor and add it to the pureed strawberries and raspberries. 4. 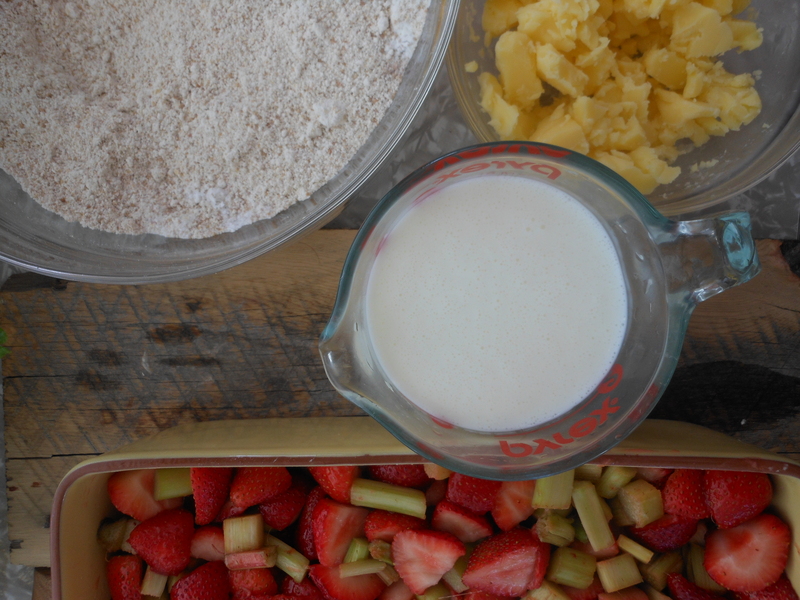 Add the cooled buttermilk sugar mixture and the pomegranate balsamic vinegar to the fruit mixture, whisk to combine. 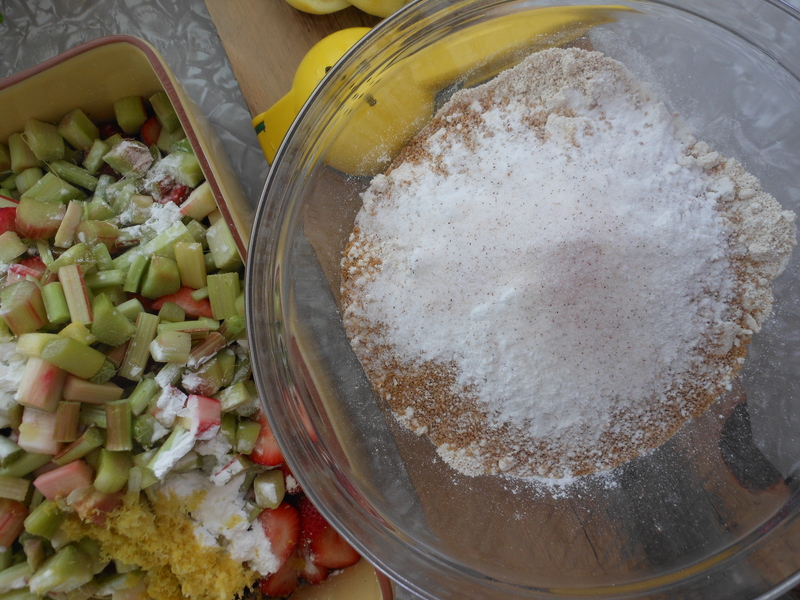 Place the mixture in the fridge for at least 2 hours or overnight. Process in your ice cream maker according to manufacture directions. I processed mine for 25 min.